The waterproof shell has a subtle herringbone texture a soft hand a detachable hood and two external storm flaps. 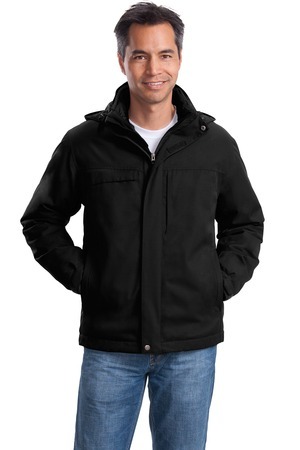 The quilted inner jacket has two zippered pockets and an interior zippered chest pocket. Both jackets are ready for decoration.